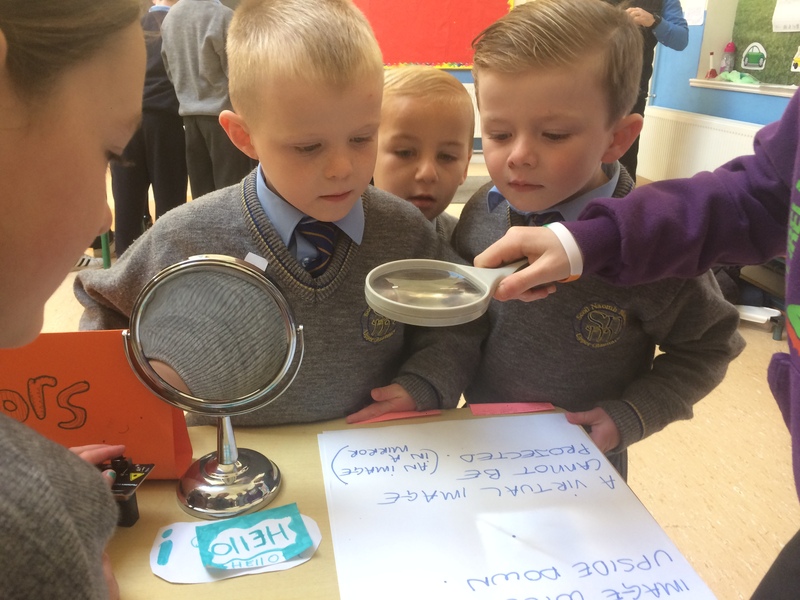 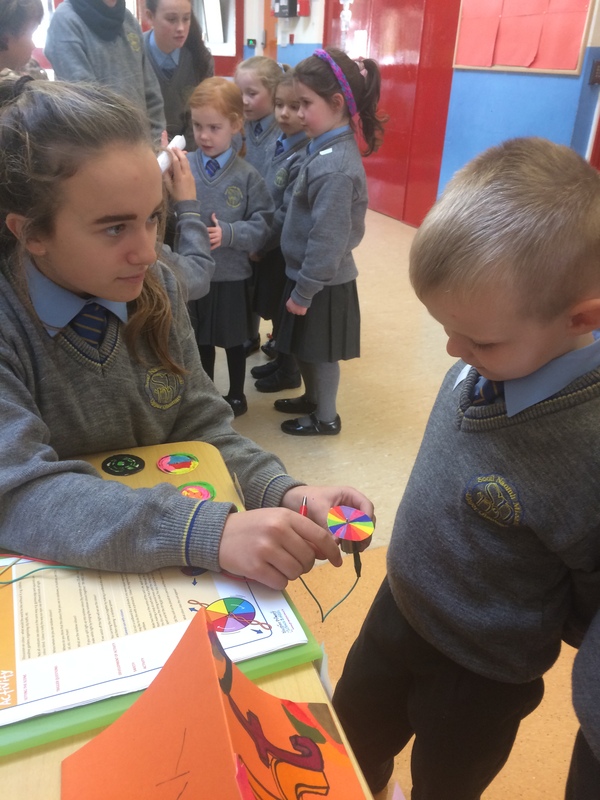 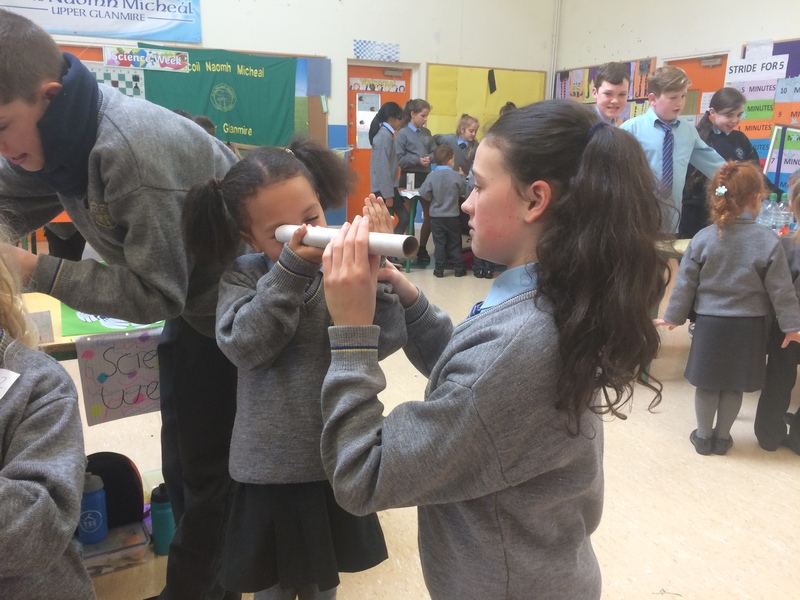 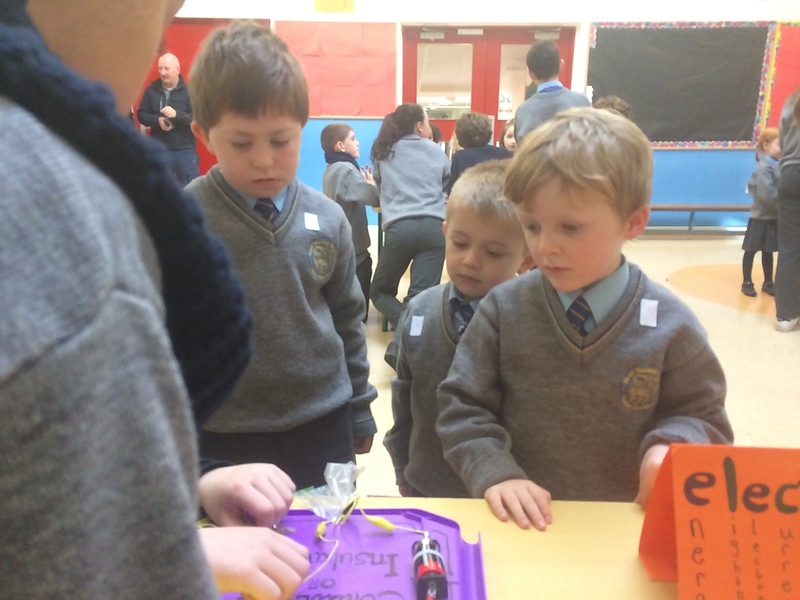 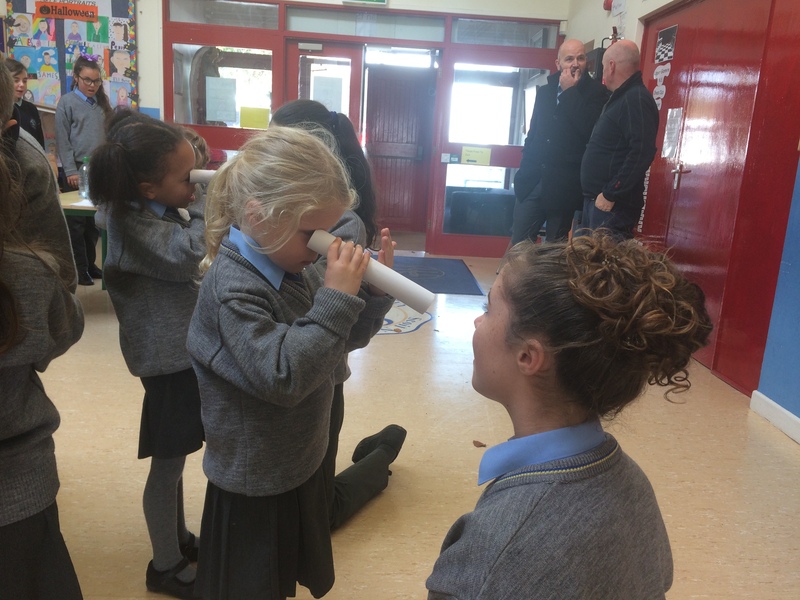 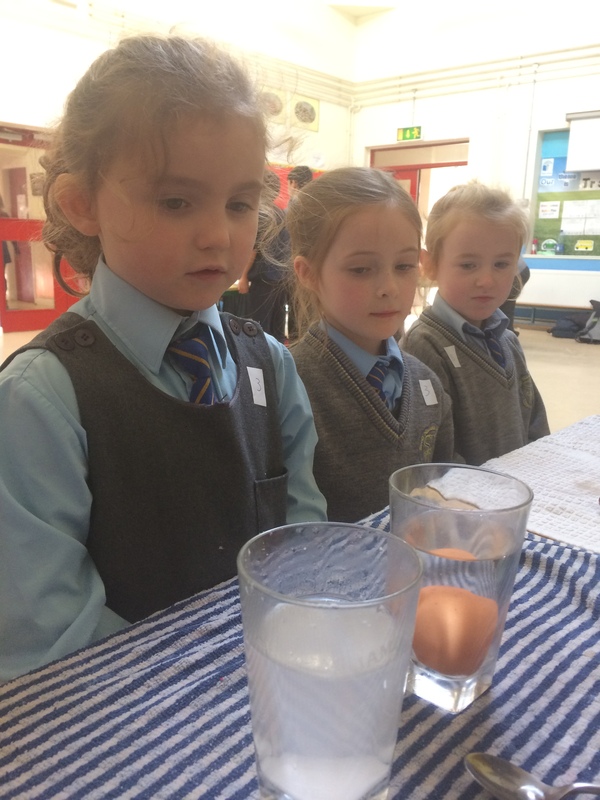 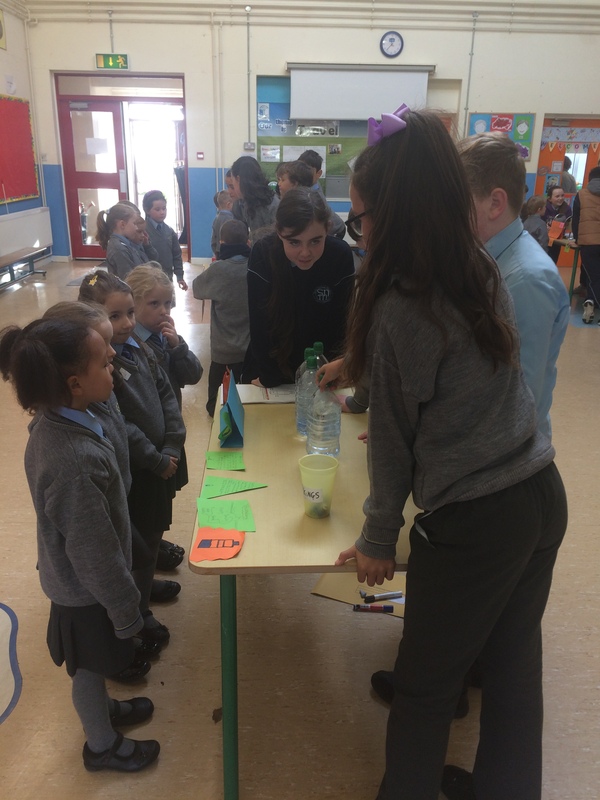 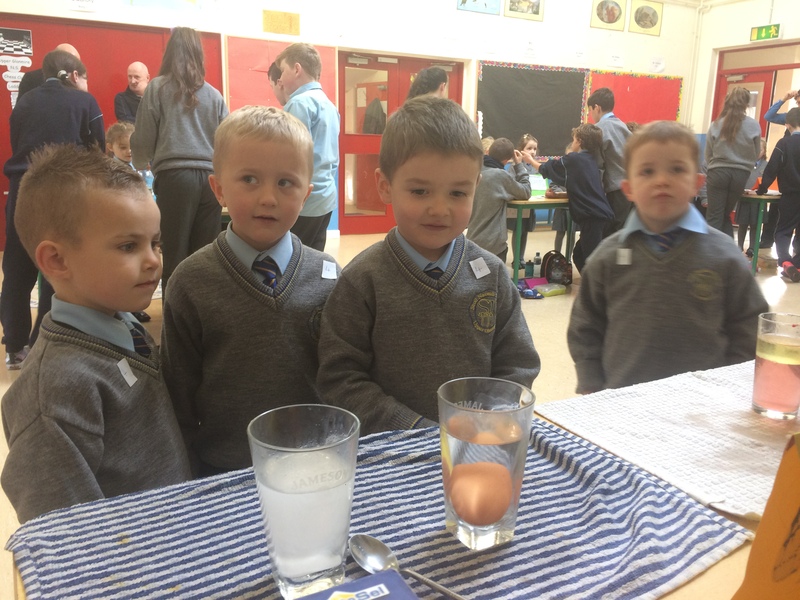 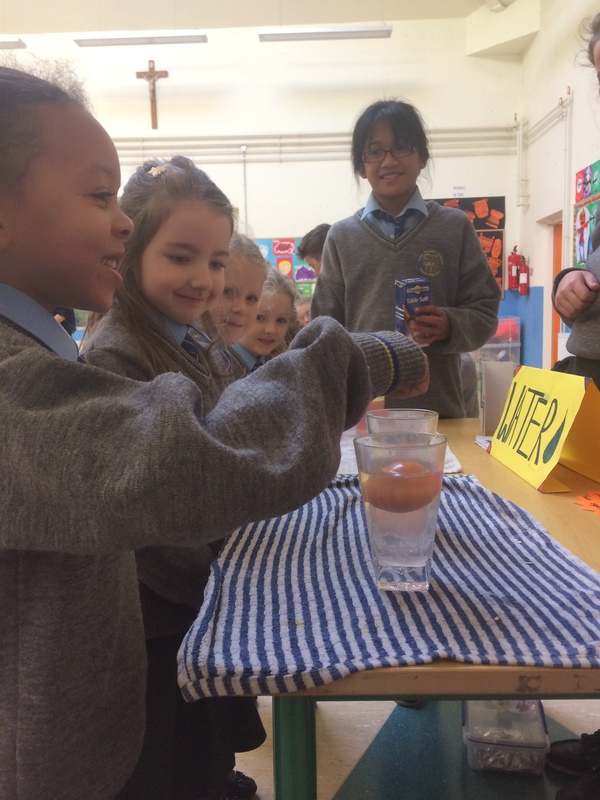 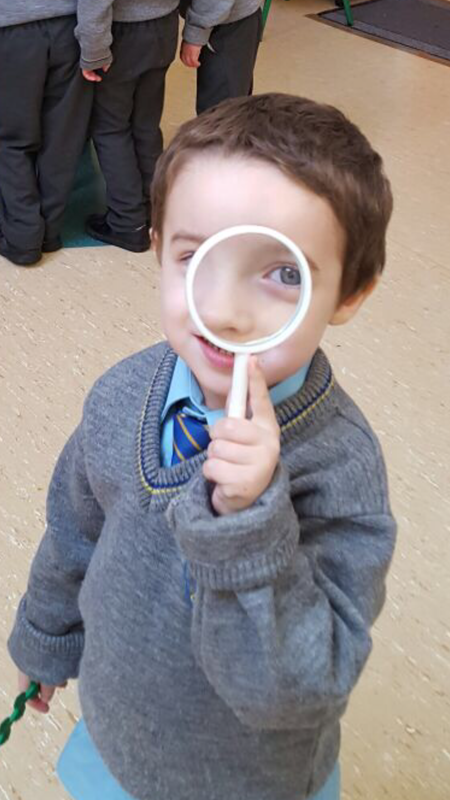 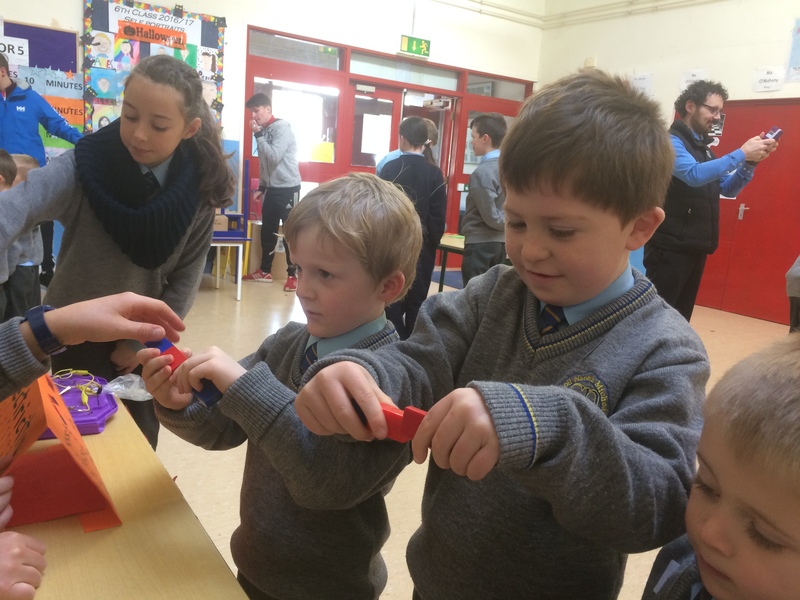 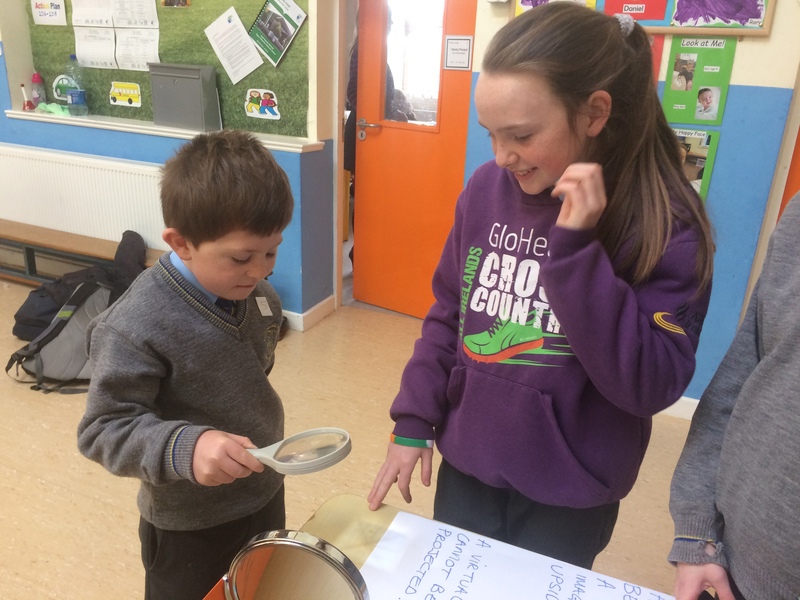 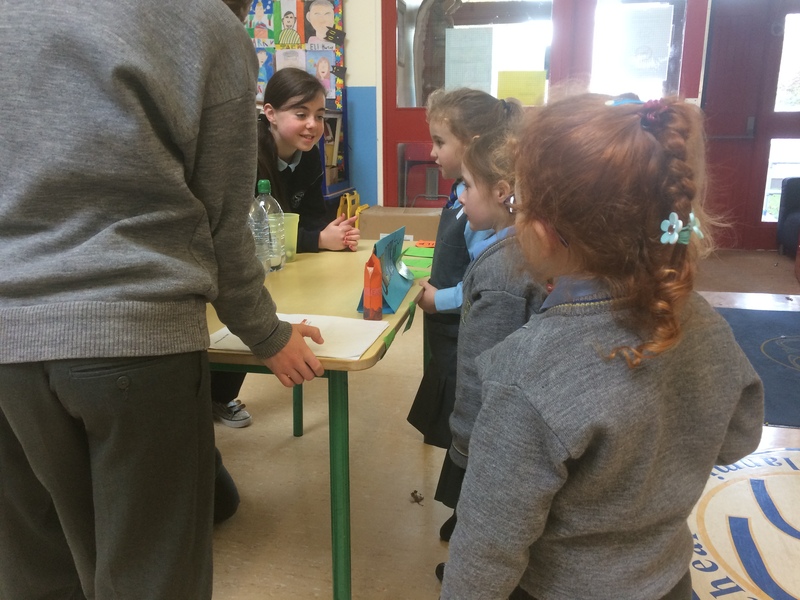 On Wednesday 16/11, Junior Infants attended the Science Exhibition in the School Hall. 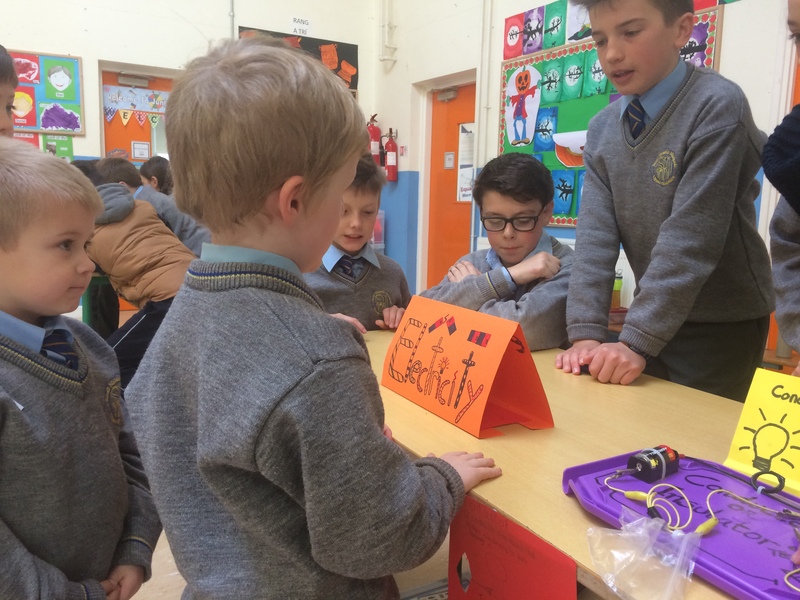 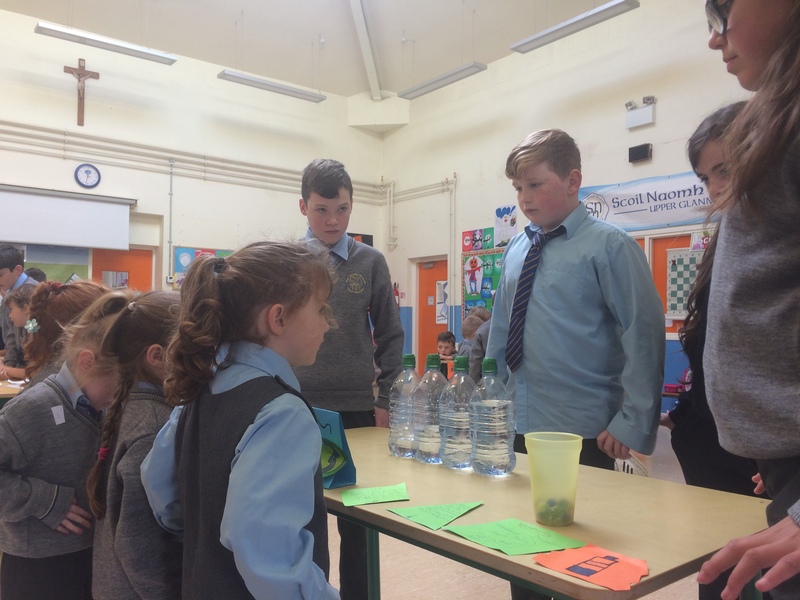 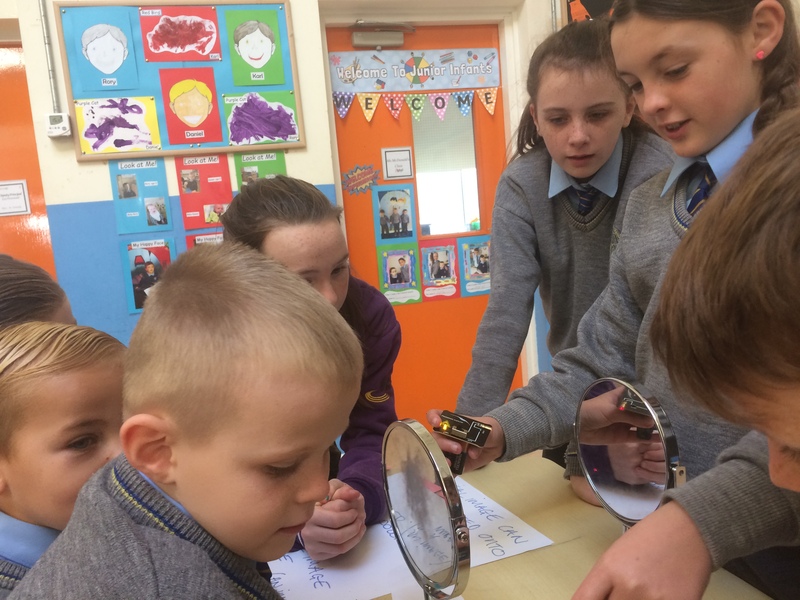 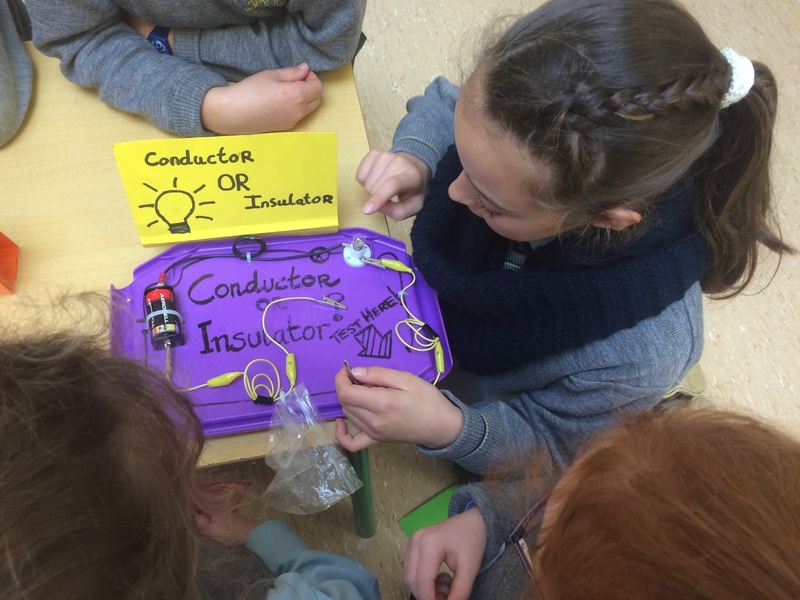 We did Science experiments with Mr. O’Sullivan’s 6th class around the themes of electricity, water, light and balance. 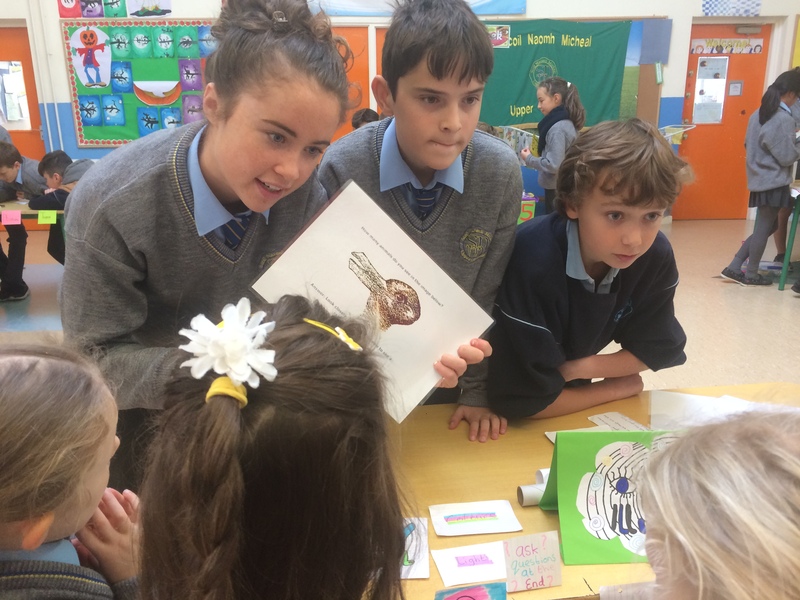 The boys and girls from 6th class were great teachers and had put a lot of work into the exhibition. 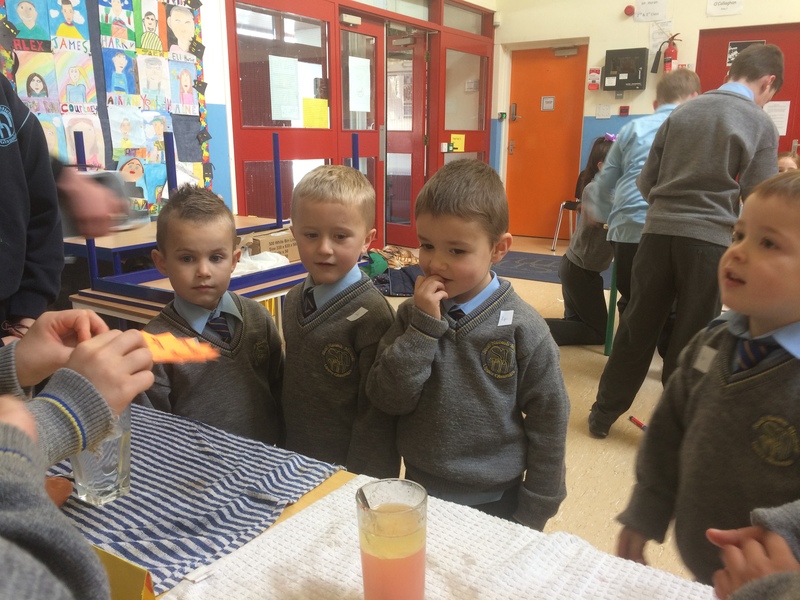 The Junior Infant children learned a lot and really enjoyed the experience. 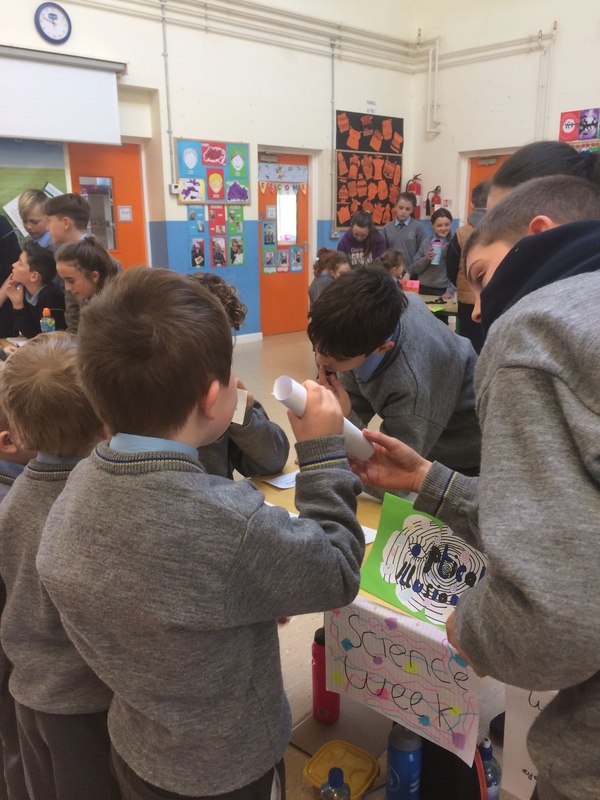 Thank you to Mr. O’Sullivan and his 6th class.